If you have a cool $3.5 million lying around, you could live in one of NYC’s most mysterious and envy-inducing rooftop homes. 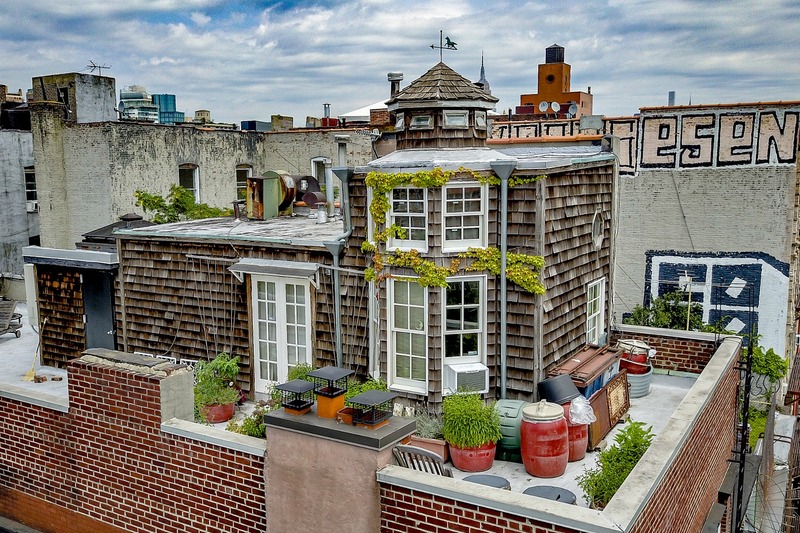 This sweet East Village cottage – which just so happens to be perched on top of a building at 72 East 1st street – has just been put up for sale. If the price seems steep, the property does come with an additional incentive: the beautiful rooftop studio comes with the massive duplex underneath. 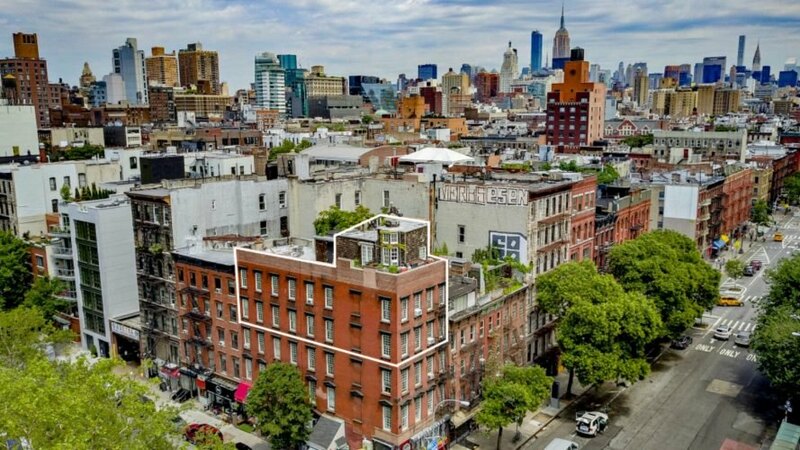 The cedar-shake structure is a beautiful rooftop studio whose ownership was a mystery for years until the NY Post unveiled the current owner as Gale Barrett Shrady. Shrady’s late husband, Henry Merwin Shrady III, bought the entire walk-up building in the 80s and renovated it to sell, but he kept the fourth and fifth floors as a duplex for his family. He subsequently added the Nantucket-style studio years later, complete with French doors, a tower and even a horse weathervane. The one-bedroom, one-bath apartment opens out into an envy-inducing wraparound terrace. After years of living in the large space, Mrs. Shrady is selling their duplex and cottage together. 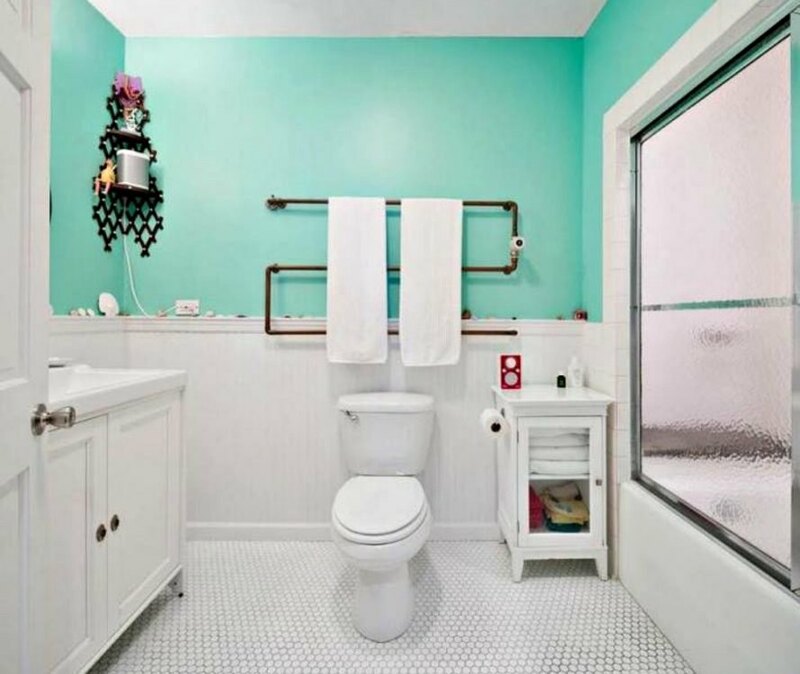 Although the small studio is obviously a truly unique gem, the rest of the home isn’t too shabby. The 2,000-square-feet, four-bedroom duplex has high ceilings with exposed beams, spacious living and dining rooms, and a great room balcony on the second floor. 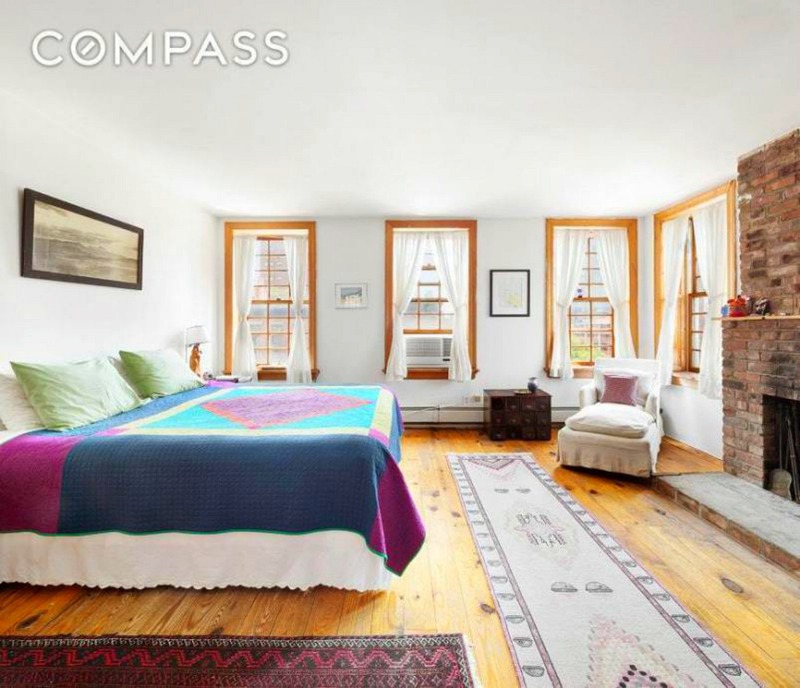 There is a grand total of 22 windows that flood the interior with natural light and two wood-burning fireplaces, perfect for NYC’s chilly winters. If you have a cool $3.5 million lying around, you could live in one of NYC's most mysterious and envy-inducing rooftop homes. The sweet East Village cottage, which is perched on top of a building at 72 East 1st street has just been put up for sale. As for the price, the property does come with a slight catch - the beautiful space also comes with the massive duplex underneath. The cedar-shake structure is a beautiful rooftop studio whose ownership was a mystery for years until the NY Post unveiled the current owner as Gale Barrett Shrady. Shrady's late husband, Henry Merwin Shrady III, bought the entire walk-up building in the 80s and renovated it to sell, but he kept the fourth and fifth floors as a duplex for his family. He subsequentially added the Cape Cod-style studio years later, complete with French doors, a tower and even a horse weathervane. The one-bedroom, one-bath apartment opens out into an envy-inducing wraparound terrace. 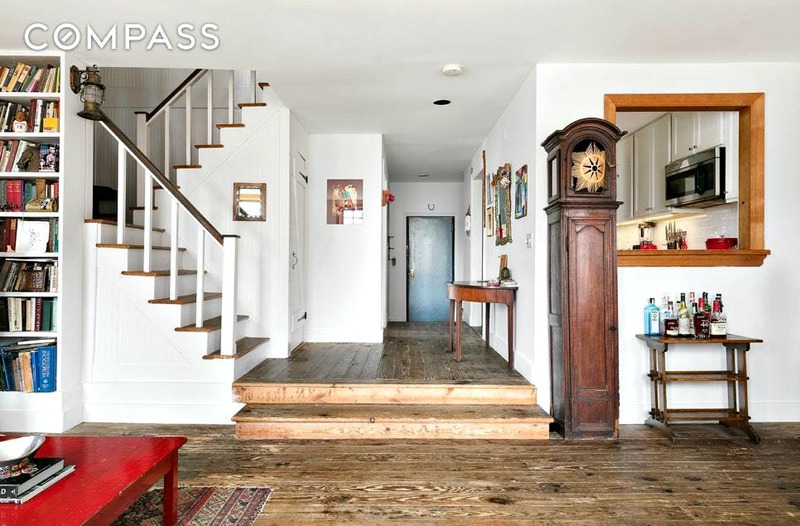 After years of living in the large space, Mrs. Shrady is selling their duplex and cottage together. Although the small studio is obviously a truly unique gem, the rest of the home isn't too shabby. The 2,000-square-feet three-bedroom duplex has high ceilings, spacious living and dining rooms, and a great room balcony on the second floor. 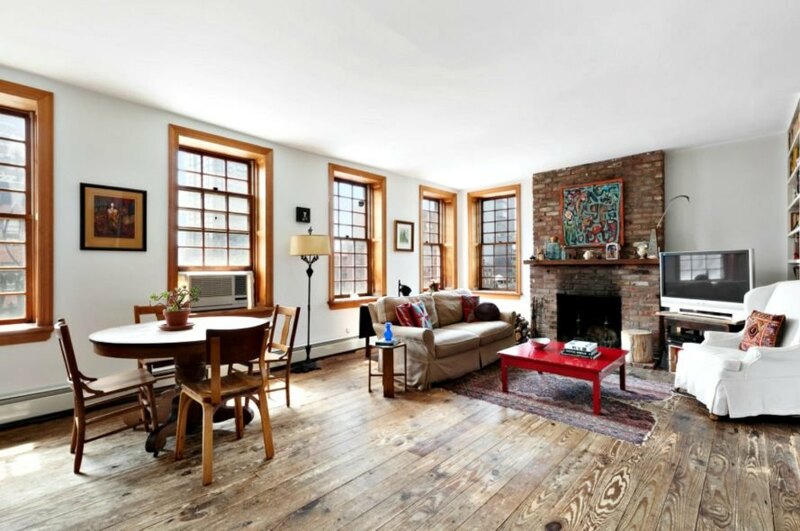 There is a total of 22 windows that flood the interior with natural light and two wood-burning fireplaces, perfect for NYC's chilly winters. 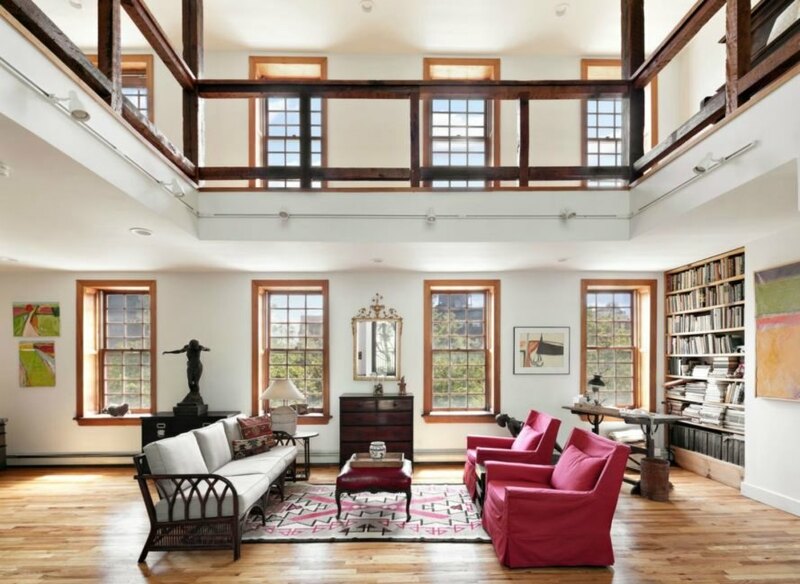 The entire property is a unique gem in the world of NYC real estate.